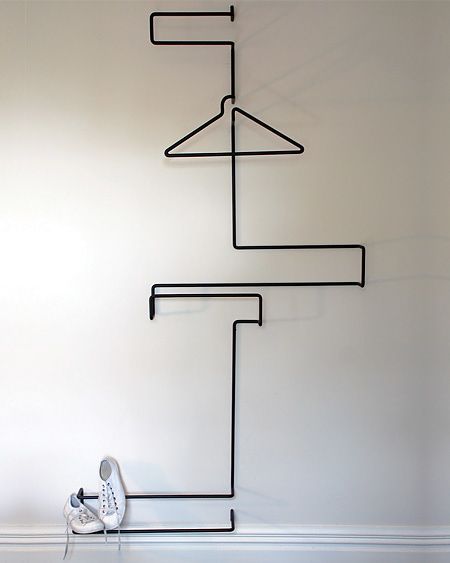 HomeBlogHome DecorXY+Z suit rack by Well Groomed Fox. The XY+Z suit rack by Well Groomed Fox is a contemporary and compact suit rack that will accommodate all the clothes,shoes and accessories that someone uses on a standard day. 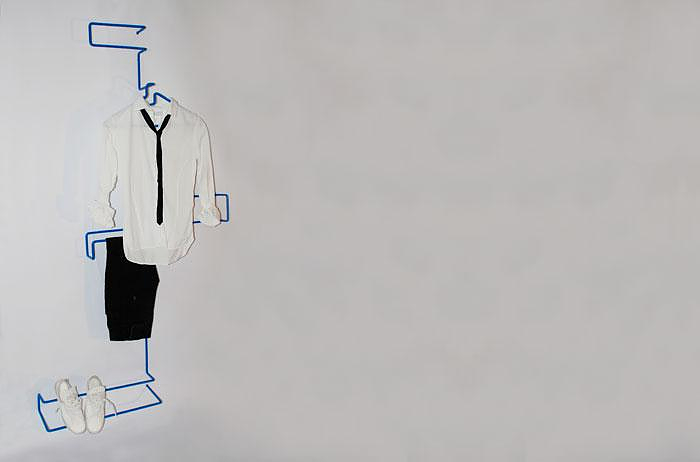 The XY+Z Suit Rack started out as an investigation into the habitual act of dressing, clothing and the storage of that clothing, and how in a contemporary environment we might move away from over flowing wardrobes and the floor carpeted with clothing. Through thorough investigation Well Groomed Fox discovered that there were many furniture pieces that support a relaxed behavior where the clothing is shed or tossed aside. So they asked: Could we reintroduce formality to the everyday act of dressing? In particular for more formal or luxurious attire. Fashion and clothing like design is about the expression of self and ideas, but also enjoyment, pleasure and fun, so it followed for our creation that a furnishing for clothing should cater for the reflection of this expression of self and also have a sense of fun. 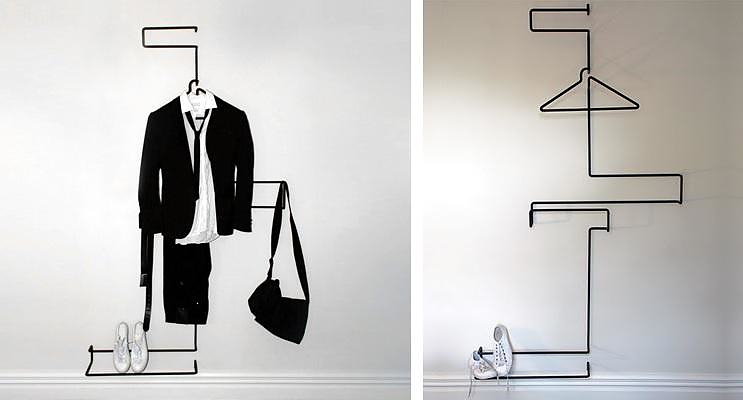 The contemporary man’s XY+Z suit rack, is elegant, fun and modern, inspired by the traditional mens’ valet clothing stand. 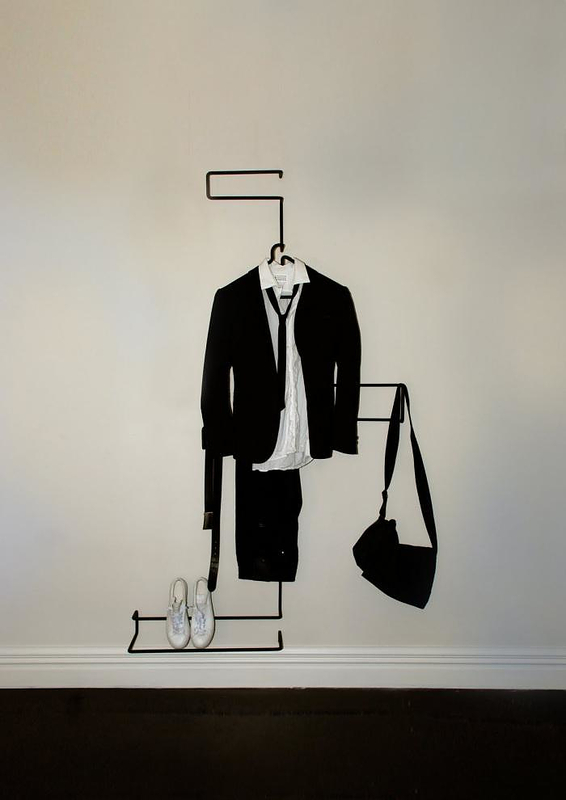 This innovative suit rack accommodates your entire ensemble: jacket, shirt, tie, belt, pants, hat and shoes. The XY+Z suit rack was conceived to be functional and visually appealing in a contemporary home or apartment, both when the product is dressed and perhaps more importantly when the piece is undressed. The suit rack is both CNC bent and hand formed from a single line in 3 axes from mild steel, which is then powder coated with a light texture to prevent clothes slipping off, the piece breakdowns for easy assembly, disassembly and flat-pack transport. The XY+Z suit rack is designed for installation on walls in both domestic and commercial environments. 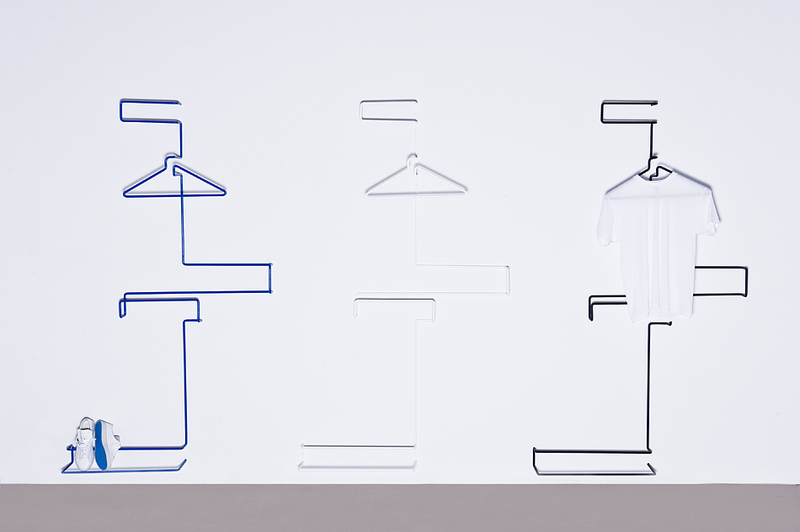 The XY+Z Suit Rack was a finalist for German Design Council sponsored the D3 Interior Innovation Award at the D3 Design Talents exhibition at imm Cologne 2010, and also shortlisted the iF Design Concept Award 2011. 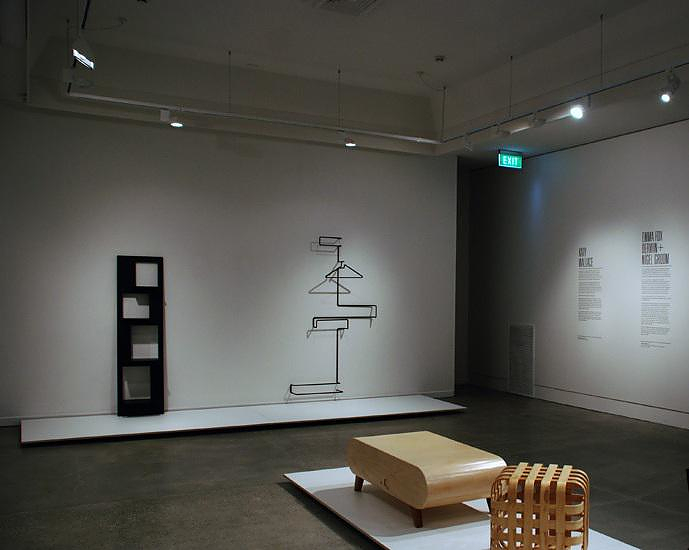 The XY+Z Suit Rack was also exhibited in April 2010 in Milan as part of our debut collection at Salone Satellite and more recently at the Dowse Art Museum. I have a client who would love one of these XY + Z as I have recommended one for a bedroom. Can you quote me please. Also availability would be appreciated. Dear Heather, thank you for your interest. Sadly we can’t help on that one, this article is dated 2011 and we are not even sure if this product still available anymore. We would suggest that you contact the manufacturer directly for more up to date information.